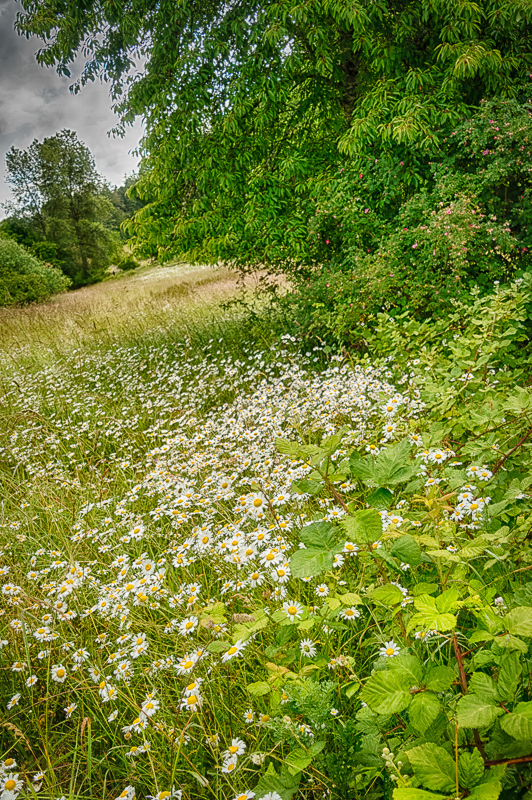 "Daisies in the Dog Park"
john4jack (Corvallis, Oregon, United States) on 6 July 2018 in Plant & Nature and Portfolio. I'm preparing a review for the new Rocky Nook Book, "Wide-Angle Photograph". I shot from down low and up close to create the visual effect that you see. I also have been playing with the new DXO Nik Collection update. Here, I used HDR Efex Pro 2 and Color Efex 4. It was finished off in Topaz Studio.